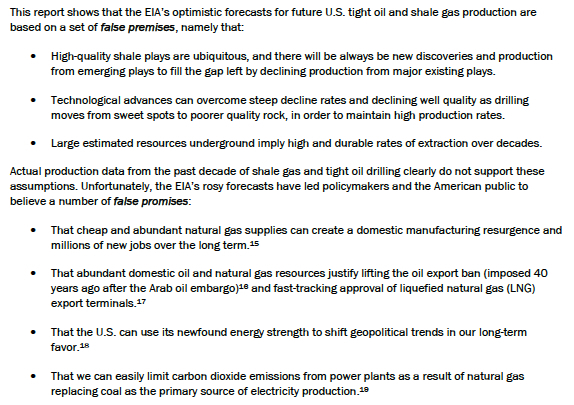 A few weeks ago, I wrote a blog post pointing out some of the difficulties posed by the move away from ‘crude oil’ to ‘all liquids’ reporting by BP, the Energy Information Administration (EIA) and the International Energy Agency (IEA) when they publish their flagship yearly reports (see here, here and here). 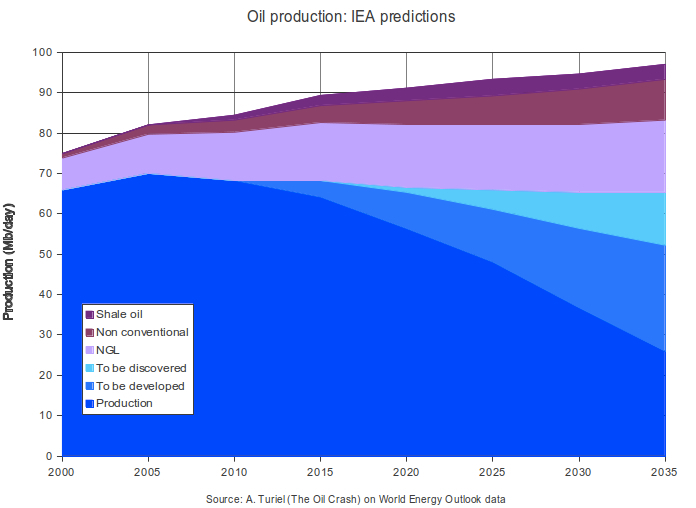 I also showed some numbers taken from Table 3.4 in the IEA’s World Energy Outlook 2012 (click for larger image). 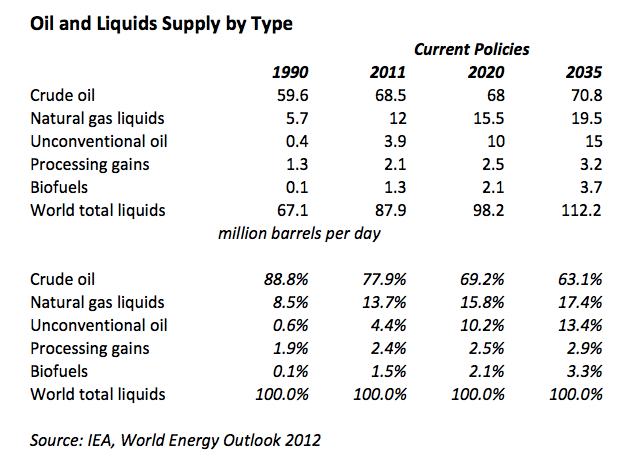 The declining share of crude oil within the overall ‘all liquids’ mix is obvious. On Wednesday I attended a Cafe Scientifique talk in my home town of Henley. The presentation was on peak oil theory and given by Professor Chris Rhodes (who blogs at Energy Balance). We have seen forecasts of future resource scarcity before, but in reality technology and the market have shown such forecasts to have been ridiculous. 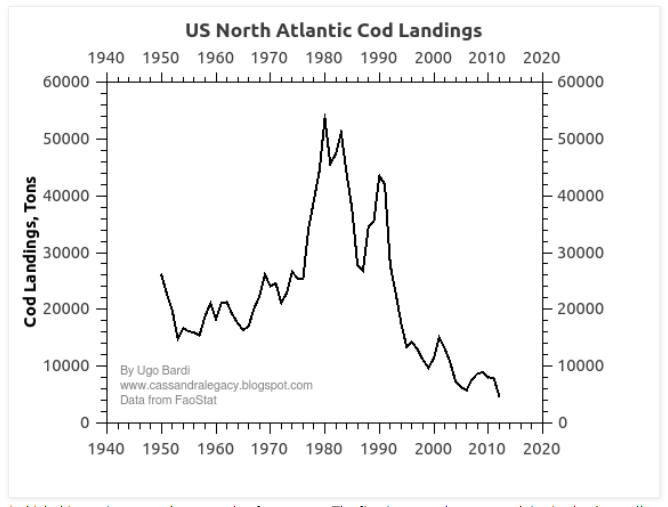 Didn’t the Club of Rome predict that the oil would run out 50 years ago? At the mention of the Club of Rome, there was a general nodding of heads and murmur of approval. At this point, I need to give a bit of an explanation of what Cafe Scientifique does and the kind of people attending (for those unfamiliar with the organisation). Its aim is to foster debate on the scientific and technological issues of the day within a non-academic context. Cafe Scientifique, and its sister organisation Skeptics in the Pub, attract a certain kind of person: highly educated, numerate and questioning. Many of them view themselves as “skeptics” (or “sceptics” if you like) in the original sense of the word (before the rise of the “climate skeptic”); that is, individuals who will not accept a proposition as a fact until it is subject to analytically robust evidence-based testing. Accordingly, I believe that few in the room didn’t have a science or numerate-based degree, and many had advanced degrees. A lake owner wants to stay at home to tend to the lake’s fish and make certain that the lake itself will not become covered with lily pads, which are said to double their number every few days. Month after month, he patiently waits, yet only tiny patches of lily pads can be discerned, and they don’t seem to be expanding in any noticeable way. With the lily pads covering less than 1 percent of the lake, the owner figures that it’s safe to take a vacation and leaves with his family. When he returns a few weeks later, he’s shocked to discover that the entire lake has become covered with the pads, and his fish have perished. By doubling their number every few days, the last seven doublings were sufficient to extend the pads’ coverage to the entire lake. (Seven doublings extended their reach 128-fold.) 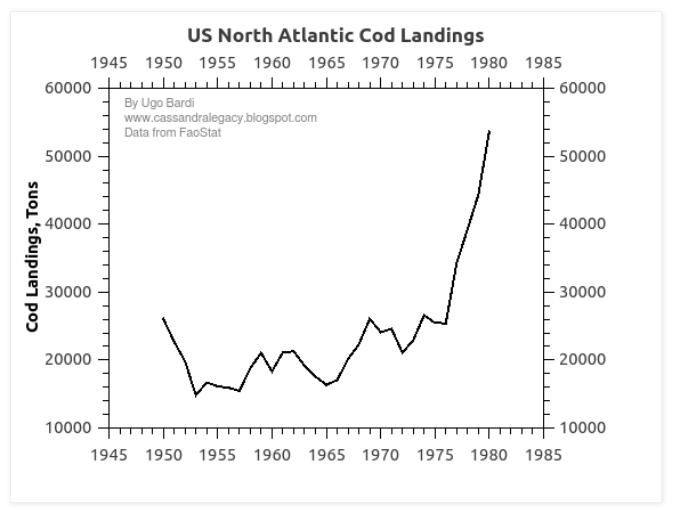 This is the nature of exponential growth. While ‘the water lily and the lake’ appears a strange choice of metaphor since if nothing else it highlights the importance of boundaries to growth, what Kurzweil was trying to communicate was how technology has barely begun to transform our lives.